Home » Health Tips » Do You Need to Eat Gluten Free? Do You Need to Eat Gluten Free? You need to eat gluten free if you either have celiac disease, or gluten intolerance or gluten sensitivity. Celiac disease is a digestive disease which damages the small intestine preventing the absorption of nutrients from food. This is due to being allergic to a natural protein called gluten, which is found in wheat, rye, barley, and possibly oats (Although oats don’t contain it naturally, they’re often processed in facilities that handle wheat). The symptoms are usually diarrhea, weight loss and malnutrition. Gluten sensitivity (or intolerance) affects a larger group of people – 10%. Gluten sensitivity involves a spectrum of disorders, including celiac disease and wheat allergy, in which gluten has an adverse effect on the body. The specific causes of gluten sensitivity are less well known. The following gluten sensitivity self-test from Dr Oz contains the most important of those symptoms. Four or more symptoms indicate that gluten may be impacting your health. But even one symptom, if severe and chronic, can be a sign of a gluten sensitivity. You may want to consult your doctor or try going gluten-free for 2-4 weeks. Caution: If you are on a gluten free diet, a test for celiac disease will not be accurate. Therefor, many experts recommend you get this test first so as to confirm this more serious condition. You can just off the diet but many people are hesitant to do so since they feel better. We have been testing individuals for food sensitivities for over 20 years with Vital Health Assessment. This is a very subtle testing which measures the vitality or ‘chi’ of the body and how different foods or supplements affect that energy. This therefore is not a medical test, and does not measure ‘disease’ celiac or otherwise. We have found though, that over 80% of individuals show weakening effects from certain gluten foods. It is a very individual test so different grains, gluten and gluten free, each affect the body in different ways. Application forms and more information can be reached at Vital Health Assessment. 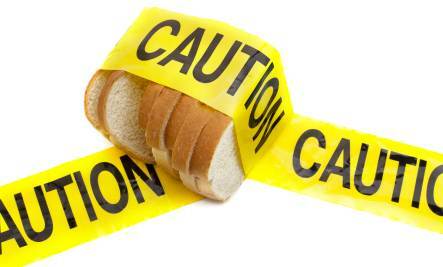 Read Diana’s article on the Dangers of Common Gluten Free Products. Read 11 Gluten Free Grains to better understand some of the alternatives and their many benefits. Check out some of Diana’s gluten free recipes by going to the categories section on the right sidebar and finding ‘gluten free’. You can also do a search from the right sidebar. Make sure you are subscribed to our newsletters since we are constantly sending out more recipes. Consider doing a Healthy BootCamp. All of the recipes your receive for the BootCamp will be gluten free and particularly the upcoming Healthy Baking BootCamp which focuses on gluten free baking. This a way to quickly gain focused and practical knowledge and skills in eating and cooking healthy and gluten free. How do you get healthy gluten free alternatives. Do you make the food itself? Or can you buy healthy gluten free breads and other carbs? Thanks for your questions Peter and Marian. 2. Read the list of gluten free grains at…..
3. Check out some of Diana’s gluten free recipes by going to the categories section on the right sidebar and finding ‘gluten free’. You can also do a search from the right sidebar. Gluten-free doesn’t always mean you have to have the starches. You just avoid the carbs. Cooking gluten free can be delicious. As the 11 grains article says, you can get lots of fiber and nutrition in other ways. We all miss the bread, and gluten free bread is weighty, crumbly and just doesn’t have that lovely yeasty taste that wheat bread has. Get over it! Do you like fried chicken? Coat your chicken with ground (food processor) almonds, pistachios or other nuts that you enjoy. Saute it in organic coconut oil or olive oil and you’ll love it even more than that greasy breaded (but tasty) chicken you used to like. I do make bread once in awhile, but I make a flat-bread so it can rise enough for 1 sandwich top & bottom. I use Bob’s Red Mill mix and add extra yeast, spread it out on a lightly oiled or sprayed cookie sheet and bake it till it’s done (less time than a loaf). I use a perforated pan so it gets nice and brown top and bottom. If you think you have to have bread all the time, you will gain weight. If you are interested, I have a wonderful gluten-free granola bar recipe that I make with oatmeal and ground nuts and add blueberries. Yum! AmericanHealthJournal is looking for partner sites in the health genre. American Health Journal is a health content site which contains a large library of high quality medicine videos. We are seeking partners who may be interested in contributing guest blog articles to our website. Please get in touch with us at our contact page on our website. I’m going to try going gluten-free, then eating something knowingly with gluten in it to confirm, but I have 8 of those symptoms and am 26 years old. I hope a gluten-free diet will improve my overall health, especially since I need to make sure I eat healthy all the time due to my level of responsibility. On a side note, the webMD article on gluten-free dieting also seems to imply that all people reading that article don’t lift a finger to prepare any meal from scratch, or that they don’t eat any fruits or vegetables. It’s insulting and seems to offer very little of educational value. A 1-semester nutrition course at most, or some personal research/reading, should give you the knowledge to safely go gluten-free. Most gluten-containing products are also devoid of nutrients beyond macronutrients and fiber. * The glycemic index: Your body breaks carbs into glucose. High = converted to glucose more quickly and raises your blood sugar and Low = converted more slowly to glucose. Raising your blood sugar too fast will cause your body to store more of the excess energy you consume, as fat. Example: A glass of orange juice will cause your blood sugar to peak in about 30 min, and give you energy for about 60-90 minutes. Eating a low-GI carb will raise your blood sugar more slowly and it gently peaks around 2 hours and gives you energy about 3 times as long as high-GI carbs. Situation A: If you just finished a hard workout, or need to raise your blood sugar (diabetics or other condition causing abnormally-low blood sugar), simple sugars are ideal, and sometimes required, for recovery, due to the fact that your body is using a ton of energy NOW and is already starting to pull from your body's various energy reserves to rebuild prioritized body systems. Situation B (Most Americans): For everyday John Smith, who sits at a desk most of the day, makes phonecalls, and might walk around a bit, run errands in the same day casually, etc., low-GI carbs are ideal to include for all meals. Athletes shamelessly eat very high-GI foods, including ice-cream, fruit juices w/supplemental protein or with separate protein snack, immediately after a workout to speed recovery and therefore performance gains. In-between workouts, however, most athletes consume low-gi carbs and regular protein feedings (powerlifters and marathon-runner's alike, but of course different types of training and macronutrient proportions/amounts). There is also research supporting the idea that a diet heavy in high-GI carbs impairs your body's ability to adequately manage cholesterol, causing it to sit in your blood vessels, leading to atherosclerosis, which usually starts in your legs (farthest from the heart) and works it's way to the heart last (long explanation made short, out of most nutrients in your blood, cholesterol loses and has to wait in line). The year I took nutrition was in 2006, so many of these numbers have possibly changed, but I hope it helps. I recently listened to some lectures on iTunes U from MD Anderson on cancer, and possible causes, etc. and listened to that bit on cholesterol management impairment. I am NOT a dietician, just a nutrition enthusiast. Loved it. My thanks for posting that. I’ll definitely return again to read more and inform my friends about your site. My brother is a diabetic. He also has hypothyroidism. Are millets better than rice for him? Are millets ideal for people with hypothyroidism?